Our Creative Schools Partnerships Coordinator Bex outlines a few of the highlights from the nearly 30 projects currently being developed across our network of 50+ East London culture and education partners. The gears on the Creative Schools machine are moving! As we launch a new Creative Schools Artsmark opportunity for schools to get involved in the programme in 2017/18, I wanted to share some of the incredible arts projects now bubbling away with creativity across East London – all of which started with the school’s needs. We have been busy working with an amazing group of teachers, children and young people from 17 schools based in Newham, Redbridge and Islington to connect them with East London arts partners that can help them meet their school improvement needs through the arts. Over the past year, 76 different arts projects and opportunities for schools have been proposed through the Creative Schools brokerage service in response to school’s needs. 10 projects have already been delivered and another 29 projects are being planned. It’s been amazing to see teachers, senior leaders and artists collaborating to deliver creative outcomes for children and young people – check out a few of the projects bubbling away below! When Central Park, Roman Road and Brampton Primary Schools in Newham wanted to inspire their Y5 student to explore literacy creatively, whilst strengthening links across their cluster, we had hundreds of ideas. Collaborating with head teachers and arts coordinators we collectively planned a half term scheme of work across the three schools which will lead to a multi-art form celebration in the summer term. Using the teacher’s expertise the project will include a joint planning session across all three schools, as well as CPD sessions for teachers, exploring poetry and story-telling, supported by The Centre for Literacy in Primary Education. During the summer term, pupils from all three schools will co-curate their own professional poetry show with Poet in the City and ten Y5 classes will have the opportunity to see an immersive show with individual headphone sets and projections at Stratford Circus Arts Centre performed by Fuel Theatre. Sarah Bonnell School in Newham is embedding Arts Award in the school to accredit the arts and reach out to local primary schools with the help of consultant Fran Gkotsi. They are also taking part in Barbican Box and developing an exciting Young Producers course with Sound Connections to plan a youth-led celebration of arts activity in this busy secondary school. Canonbury Primary School in Islington is planning a bespoke digital art project with SDNA to celebrate visual oracy in mixed ability classes where English is often a second language. 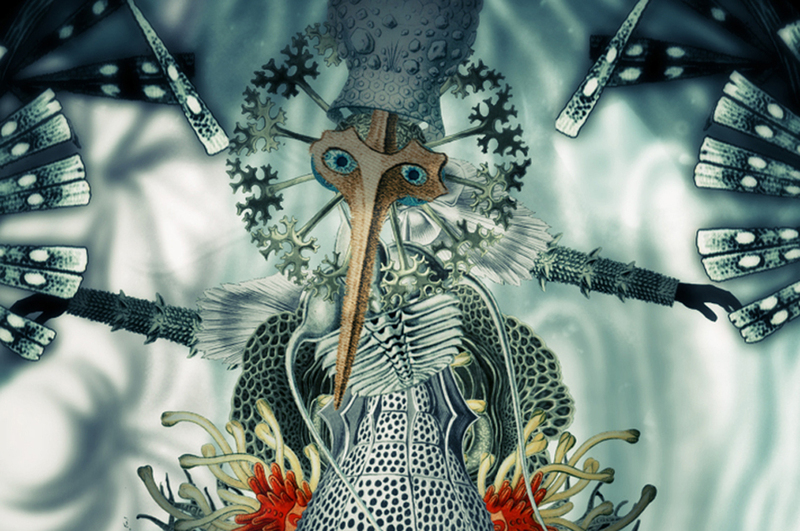 Pupil collages will form the basis of animated underwater creatures that will come alive in cabinets at The Bomb Factory. Mossford Green Primary School in Redbridge has been working closely with Salmagundi Films to use stop gap animation in the classroom using iPads to up skill their teaching staff and improve the confidence and self-worth of pupils taking part. Laycock Primary School will be working with Candoco, a contemporary dance company of disabled and non-disabled dancers in the summer term, to bring their architecture topic to life. Little Angel Theatre is planning at 9 day takeover at St Mary’s CofE Primary School in Islington and will be working with every child in the school to curate immersive environments for a promenade performance like no other. Redbridge Drama Centre in partnership with Discover Children’s Story Centre is working with Churchfields Juniors, Churchfields Infants and Highlands Primary Schools in Redbridge to deliver a Story Builders project to encourage boys to write. Output Arts has been commissioned to create an interactive installation at Grove Primary School to inspire creativity and literacy in boys. The project will explore the intimacy of letter writing through a talking post-box. Want to plan your own bespoke arts projects and support your school improvement needs on the journey to gaining an Artsmark for your school? Get your school involved! For the 2017/18 academic year we are excited to be launching an exclusive opportunity for East London schools to apply to be part of an integrated Creative Schools Artsmark. Schools taking part in the Creative Schools Artsmark programme will receive tailored support to align arts and cultural provision with your school improvement priorities on the journey towards gaining an Artsmark Award. Don’t miss your chance to sign up for the Creative Schools Artsmark before Friday 17 March 2017 using our simple online application form.